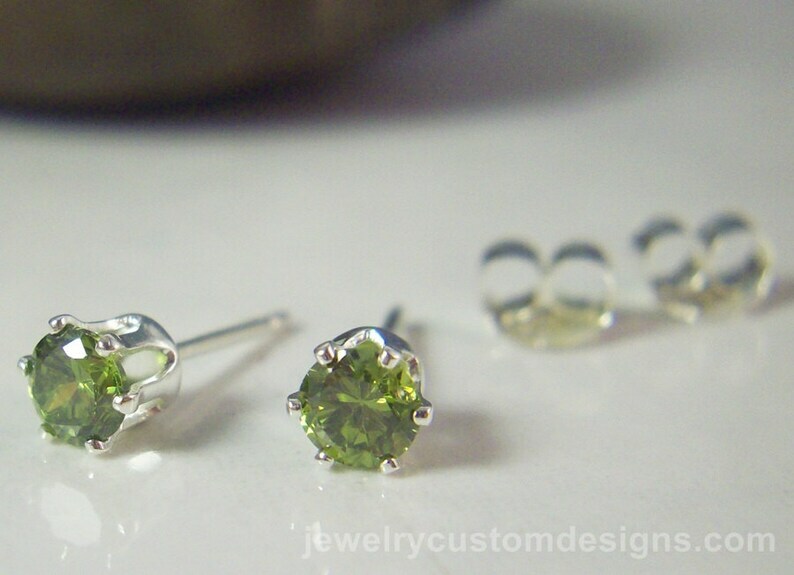 4mm Peridot studs are such a lovely citrus color. Peridot is the birthstone for the August baby and it's a very pretty stone indeed. These are high quality CZs and are set in sterling silver. Gift boxed.